lightweight but sturdy materials, multiple drivers stuffed into a small earbud, better cable systems and more accessories, we are excited to do a best earbuds under $500 list. While some of our old favorites have prevailed, given their ahead-of-the-curve design, we have some thrilling new entries. This year’s best earphones are spread across the price spectrum with a variety of sound signatures andfeatures that set them apart from the previous years’picks. Time to take advantage of some of the best technology in audio equipment to hit the market. How are the best (high end) earphones under $500 different from the others? Earphones are debuted by well-known audio giants and smaller companies by the dozens every year. But only few really live up to their price’s potential. Good earphones come at a price but the reverse is not always true. Here, we try to explain why these 15 best earphones under $500 took the cake. Clarity: The clarity of audio across the board, from bass to mids to highs, makes for an enjoyable listen. A lot work goes into creating every sound that goes into the audio. The good earphones ensure that the audio doesn’t sound veiled or dulled such that some details of the music are not heard clearly. Balance:Tonal balance is very important to the best in-ear headphones. In a tonally balanced audio, none of the frequencies sound too loud or too soft compared to the others. In other words, the energy of audio is distributed uniformly across the audio spectrum. Balanced audio gives you a real sense of the original audio, i.e. the song as it was supposed to be. Detailing: You might wonder why some headphones cost $1000+. What could they possibly do that a $500 earphones cannot? The devil is in the details. Meticulous detailing of sound helps you hear all the little sounds that make up the audio and enjoy your favorite tracks more thoroughly. The popular songs that hit the market are popular because of the combined efforts of these details. Audio Signature: Some folks prefer bass-heavy audio, some like it completely flat, some like a warm balance. We cannot say one is better than the other definitively, so we have selected the best earphones that span different kinds of audio responses. However, a flat audio response is easiest to equalize to your taste of warm/bass-heavy/mid-forward audio. So we gave them preference. Some of the best earphones come with tuning filters that change the audio response to neutral/bass-forward/treble-forward based on the filter physically fixed on them. Durability: Earphones have an annoying habit of shorting on you on a single side. It’s a tease. You can hear half of the Shape of you. The best earphones don’t do that, not when you treat them moderately properly. Sometimes even when you abuse them completely. The extra protection on the earbud joints, the Y joint, the jack etc. indicate the longevity of the earphones. Comfort: Most of us find earbuds generally more comfortable than headphones. Only some don’t like the eartips penetrating the ear canal. And there are audiophiles who believe in the power of big drivers that full-size headphones have. But in-ear is gets preference due to convenience. Audiophile earphones often route their wires over the ears and behind the neck instead of being worn the normal way. While this gives you a more secure fit, some users don’t find it very comfortable. The normal headphones worn from the front are usually comfortable unless they have disproportionately large ear pieces. Cable: There are a number of ways a cable can decide the fate of the earphones. One is whether they are removable. Detachable cables mean you don’t have to chuck a $300 earphone out just because the wire shorted. But for this to be economical, the spare cables should be affordable. There are modular cables where one part of the cable plugs into an extension just below the Y-joint. The cable should be sturdy but not so heavy that it weighs down the earphones. Jack: The jack of the earphones is another stress area. For most earphones, these days the jack is gold plated. A straight jack is easier to insert and remove from the audio device. But an L-shaped jack has more stress-relief and is more likely to last longer without damage. The housing of the plug should be thick but not so beefy that it doesn’t enter the hole in a phone case. Eartips: The optimum performance of the best earphones depend on the seal you get in the ear. The better your ears are sealed against ambient noise, the more bass and details you can discern. With a good seal, you can get the best audio out of your earphones. Usually silicone eartips in a choice of sizes do well. Comply foam eartips are guaranteed to give you a good seal, but they might collect sweat. Some earphones come with both types of eartips along with double/triple flanged tips. The options ensure that you will find the best seal. 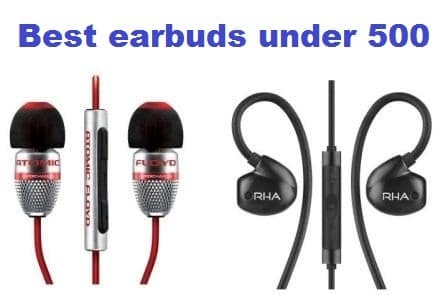 Accessories: The best earphones often ship with excellent accessories like zippered carry pouches, replaceable audio filter, all varieties of eartips, studio adapter, airline adapters etc. Audio: We checked for a variety of audio signatures that maintain the core values of good clarity, balance and detailing. We have tried to explore as many new earphones as possible so that you can move beyond the well-known earbuds of last year to newer better products. 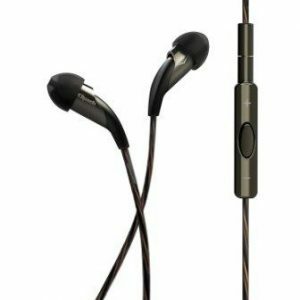 But the truly outstanding in-ear headphonesfrom the previous years have been retained. Design: We inspected the design of the best earbuds under $500 closely to see how durable they are. We also tried them on in different scenarios, i.e. while at work, sleeping, lying on our sides etc. Through user reviews, we found out how long these earbuds last through regular use over long periods of time. Comfort: We checked that these earphones remain comfortable for continuous use over hours of music-listening. Special focus was on whether the ear pieces hurt the ears or not. We have included both over-the-ear and normal earbuds designs after evaluating them for comfort. Features: We looked for special features that bring these best earphones to the limelight. Some of them offer active noise cancellation, detachable cables, 3-button mics that work with both Apple and Android, Bluetooth connectivity, modular cable etc. These features are subjective to price though. Budget: We chose the $0-500 price range because it covers 98% of the best earbuds and the user base budget. These were evaluated for their value of money and compared. This way, whatever your budget be, you get the best for your money. the position without seeing the slightest price drop since 2010. This achievement is doubly surprising because their awesome predecessors Se530s took a huge price plunge and were available at killer rates. 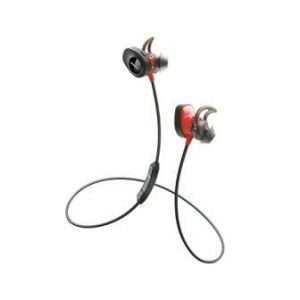 The universal fit SE535s walk a bunch of delicate balances to deliver a physical and audio performance worthy of the top place in our best earphones under $500 list. The design of Shure SE535 earphones speak of refined design and exceptional strength. The triple-driver ear pieces are noticeably flatter than the SE530s. They sit very low profile in the ear and you can even sleep on your side with these on. They are still larger than the regular earbuds. The contoured design fits universally into almost all ears, though you have fiddle with them a bit initially to position them correctly. The earpieceshave transparent driver cases. There’s something novel about seeing the circuitry for us tech geeks. These are over-the-ear kind of earbuds where the wire has to routed around the ear. This offers a more secure fitment. The portion of the wire that attaches to the earbuds is memory wire. It is tough but can confirm to the curve of your ears. 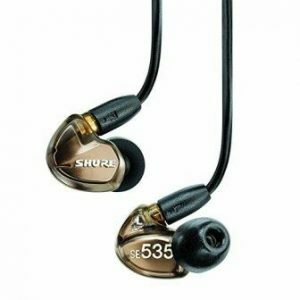 Although expensive, Shure SE535 brings every feature to the table that ensures a life worthy of the price. The cable is detachable. It connects to the ear pieces via an MMCX connector. This allows the joint to rotate freely without snapping off. This flexibility while providing a firm attachment is much appreciated. The cable is Kevlar-reinforced for longevity. Shure has just released a detachable RMCE-LTG cable with inline DAC and lightning plug at the audio source end. The MMCX connectors on the other side are compatible with SE535 earphones. The original cord runs 64 inches long, enough to connect to audio equipment like DACs. The joints at the Y-junction and the plug are extra fortified and covered for stress-relief. 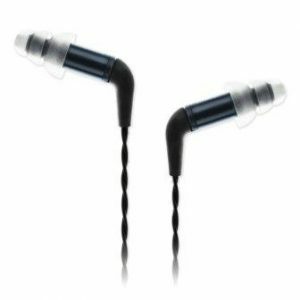 The Shure SE535 in-ear headphones come with an assortment of silicone eartips and black foam eartips in different sizes. You also get triple-flanged tips and a pair of universal foam tip. Although foam tips are dirt-gathering, the eartips with Shures do not catch sweat easily. Talk about stellar quality. An earwax cleaning tool, an inline remote extension, a carry case and a studio adapter. These earbuds are available in copper and clear cases. The Shure SE535 earphones are a triple-driver design. Each ear piece carries twowoofers and a tweeter for the full range of audio. Together they have managed to hit a precise point of audio balance where the sound is balanced but not surgical-sounding. Another exceptional quality of their sound is the end-to-end clarity. The bass is encompassing without going overboard. It is punchy, meaty and extended properly into the subbass. It is beautifully defined and detailed. And it stays that way throughout the volume range. The four woofers work in tandem for this precise effect. The midrange are decadent in their detailing. They have a nice sense of space for earbuds although you can expect the open-ness of open-backed headphones. SE535s truly shine over their predecessors with the detailing of the high frequencies. The audio response is neutral but the killer bass primes them for Techno, hip-hop and EDM. They can play all genres well and sound even better with a DAC, although they don’t necessarily need one. the first time the famed planar magnetic technology descends from over-ear headphones to IEMs. Planar magnetic headphones are known for exceptionally coherent audio with very low harmonic distortion. The aesthetics, the under-the-hood magic, the Cipher Lightning cable all look into the future of audio technology. It’s a lock for the best earphones under $500. The Audeze iSine10 earphones look like a Hulk-y version of your average earphones. To accommodate the planar-magnetic drivers, the driver housings are large and look like something out of Star-Wars. But the whole ting only weighs 0.7 ounces so don’t let the size fool you into discomfort. The actual earpieces protrude from the driver casings into the ear. Because of the negligible weight, they sit securely on the ear without at any help. However, Audeze supplies a choice of ear-hooks and ear-fins that can hold them properly on your ears and give you that extra sense of conviction. There are two pair of clear and black earhooks each and two pairs of ear fins for the inner ear. They are thorough, if nothing. These earphones also set new trends in terms of cables. They have a detachable cable or cables based on the model you buy. The higher-end model comes with a Cipher lightning cable and a regular 3.5mm audio cable. The Cipher Lightning cable has a lightning jack at the end and an inline DAC. As expected, it works only with Apple devices and offers a very affordable alternative to iPhone dongle. It drains the battery of your iPhone slightly faster than usual for the DAC. The audio cable has no inline remote. Audeze is trying to extend the DAC functionality to Android. The less expensive model has only the audio cable. The DAC on the Cipher cable is slightly heavy on the cable but it comes with a shirt clip. Extra pair of eartips in two more size accompany. We wish they had foam tips as well. A handsome carry pouch is supplied with the earphones. The Audeze iSine10 are open-back earphones. They let ambient noise in and the audio out to some extent, so they are best suited for private listening. The audio performance is closer to that of a good full-size headphone than an earphone. It takes away the biggest disadvantage of puny earbuds: the openness of audio. The sound response is much more airy and spacious compared to earbuds. The lack of distortion reflects in the transient handling and resolution. These in-ear headphones have deep, well-defined bass. They flow smoothly into the highly detailed midrange. The treble has the same resolution but with a touch of harshness in the highs. The tonal balance is aimed at accurate and the iSine10 delivered. The DAC has a 10-band equalizer operable through an Apple app. The sound is around your head but the vocals remain intimate. audio is almost hard to describe other than that we like its stunning nature. They also take the build quality to a different level even beating Shure SE535s according to certain users. The choices of detachable cables and the replaceable filters are a nice touch. AKG N40 shows up with highest brownie points in certain columns, hence its tops place in the best earphones under $500 list. The AKG N40 earphones make a statement with their design. These are over-ear earphones. The ear pieces are quite lightweight. They are mainly sturdy plastic with metal reinforcements for longevity. The chrome finish of the metal part gives the design its premium look. The ear pieces are about the size of Shure SE535s and sit flush in the ears. The part of the cable connected to the ear pieces is stiffened into a curve. These portions act as earhooks and balance the ear pieces. They also dampen any vibration from your movement and protect the audio. The cable of these earphones is detachable. They comes with two cables, one a straight audio cable and another a cable with 3-button control. Both are braided till the Y-junctions and rubberized beyond that for added strength and reduced tangling. They terminate in a straight plug with metal casing. The cords connect to ear pieces through MMCX connectors which let them rotate freely at the joint. The control on the cable is thoughtfully designed for tactile advantage. The up/down buttons are rocker switches. The highlight amongst their accessories are the tuning filters. These go at the head of the ear pieces just under the eartips. The filters equalize the sound as neutral, bass-forward or treble-forward based on the one selected. Silicone eartips and a zippered travel case come in the tow. We expected more varieties of eartips but the ones that come with them offer a good fit. It’s hard to characterize the audio of AKG N40 earphones. We tested them with the reference audio tuning filters since the equalizer on our phones made the other filter superfluous. We do recommend using these with a DAC for excellent audio. The audio is detailed, accurate and a touch warm, such that it maintains its accuracy but doesn’t sound clinical. The bass has great depth and detail and slightly more punch than the reference IEMs like Klipsch X20i. This doesn’t overturn the balance of the frequencies. Midrange has revealing clarity although you get a little caught up in the brilliance of the bass and the treble. The highs are where the N40s really outdo themselves. The audio has just enough sparkle that its sounds exciting but not harsh. It brings a sense of precision and liveliness to the audio. They make a very clear and enjoyable image of the original audio. AKG N40 is clearly at one of the top spots in its price range. The tuning filters are handy but they do not make much of a difference. If you are looking for a very subtle bass or treble-push, they might do the job. armature technology for high-fidelity audio. The SR version is the studio reference model while the XR version is for extended response. These are audiophile gear through and through with the highest quality mids available at this price. The outstanding noise isolation is just one of the perks. The new and refined design makes to the top of the best earphones under $500 list. The Etymotic Research ER4SR earphones have an unconventional design that may impress some and annoy the rest. For us, it was the former because the design helped our need for complete silence in the background while listening to music. 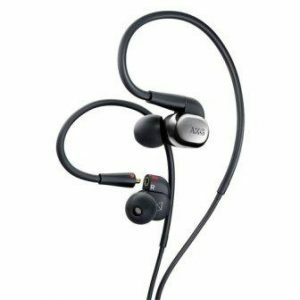 The earpieces of ER4SR are longer and slimmer than the usual earphones. Their cylindrical structure is slim enough that the eartips and part of the earpieces can sit comfortably inside the ear canal. This deep-diving design brings the noise-isolating advantage. The ear pieces are covered in a metal tube which can be slipped off to reveal the MMCX connector. These earphones come with pairs of triple-flanged eartips and black foam eartips. The flanged ones tickle the ears but they are excellent in terms of relaying sound. We have heard reports from users who prefer them over even the foam ones which offer perfect seal. Etymotic suggests changing the ear filters of the ear pieces after a reasonably long period of use unless it gets clogged with ear wax. A filter removal tool and replacement filters are provided. Shirt clip and studio adapter are included. 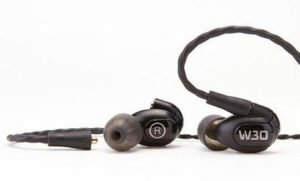 Etymotic ER4SR earphones have a detachable cable. The braided cable is Kevlar-reinforced. These are audio earphones through and through. So they don’t have an inline remote. The cable terminates in an L-shaped club. The MMCX connectors that connect to the ear pieces have strain relief but attach firmly. They can be stored in their hard zippered case which has mesh pockets for eartips and other accessories. The Etymotic ER4SR earphones are famous and infamous for their midrange. These little ear divers set up the perfect stage for midrange with tight and extended bass and sparkling treble. With the truly high-end detailing, ER4SR gives you a taste of ultra-expensive audio sounds like. Unlike some of the more clinical-sounding earphones, the ER4SR havea relaxed and enjoyable sound. They are not as intense on bass as the XR earphones which extend deeper into sub bass. But the lower frequencies are tight and fast. The fast transient response makes for uncluttered audio. If you prefer a more relaxed audio signature, we suggest looking at the ER4XR. They have a plumper midrange and slightly more ‘fun’ audio signature. ER4SR are the Holy Grail for critical listening while ER4XR are geared towards casual listening. brand names. These are refined earbuds which bring premium audio through triple drivers. They come with an excellent haul of accessories. Westone has put a lot of thought in the physical and sonic design of these earbuds. The result it a near perfect sound at the price and a scope to only nitpick. They get a well-deserved place in the best earphones under $500 list. The Westone W30 triple driver earphones make an impression right as we open the package. They come ina rubberized sliding presentation case that speak the premium talk of the price. In this is an impressive foam-lined mini vault to carry the in-ear headphones around. 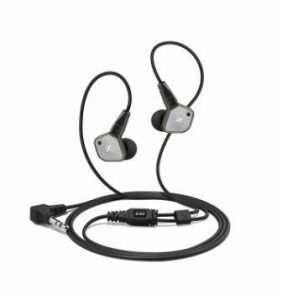 It is waterproof with shock absorbers on the sides.These are over-the-ear earbuds. They ear pieces are sized somewhere between the Shure SE535 and SE846. So they sit slightly protruded from the ears. Apart from the three drivers, once cause of this bulk is the replaceable faceplate on the ear pieces. W30 comes with spare faceplates in red and blue. 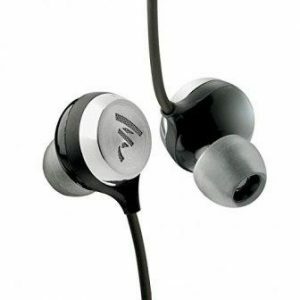 It appeals to the vanity of the audiophiles and add the slightest bit of bulk to the ear pieces. They were comfortable to us, so we don’t mind the tradeoff. These earphones come with a generous collection of eartips. Including the patented Westone Star eartips, short and long versions, there are 10 pairs. One of them is bound to give you the perfect seal. At this price, people often go for Shure Olive eartips as well. The types of tips you use make a huge difference to the sound, so experiment, people! The W30 earphones come with two detachable cables. The Epic cable is a seemingly simple audio cord. Its braided quality keeps it from tangling and gives it extra strength. It is also famous for minimal microphonics. The other MFI cable has an inline remote that’s compatible with both Android and Apple. The Epic cable is better for critical listening. Both cables have MMCX connectors on the ear piece end. The area near the earbuds is formable and confirms to the shape of your ears after wearing repeatedly. The Epic cable is better at retaining cable memory though. The Westone W30 earphones are remarkably removed from the clinically flat response that’s rampant at this price of IEMs. This is a lively earphone with a warm, slightly V-shaped signature. It maintain stellar detailing throughout the frequency spectrum but with a rich plushness that everyone except purist audiophiles like. The bass has a solid impact with some calculated boost in the mid-bass region. At its price, its plays effortlessly and with tight impact. It might seema little sluggish compared to Sennheiser IE800s but those are also twice and price and less exciting. The treble offered by these earphones is the right amount of sparkly without being overbearing or harsh. The midrange sounds a tad recessed between the enthusiasm of bass and treble. But there’s intricate detailing here that only benefits from the body of bass. Westone managed to hit all the right notes in the slight sculpting of audio to suitably impress even the most refined audiophiles who value the entertainment value of audio. value for money in terms of sound, build and features. Both triple-driver and quad-driver models are available at a very affordable budget that gives the Shures a run for the money. Although not strictly high-end in their sound, they are all-things-nice for casual audio. With their all-round performance, these are one of the best earphones under $500 to watch out for. The 1More triple driver earphones are a handsome set. The rose gold model is pieces of art. For the more low-profile looks, there’s the Titanium version. These are triple-driver earbuds so the driver casings are slightly bulkier than the usual ear pieces. The aluminum casings are not easy to squash under your feet accidentally. The tube of the ear pieces are slightly beefier than usual since the drivers reside hear. That being said, you will find the earphones comfortable to wear. The fitment depends on the eartips you select. We like the fact that the aluminum casing extends ½ inch well over the place the cable connects to the ear pieces. These earphones have Kevlar-reinforced cable which ends in a sturdy straight plug. There’s no questioning the durability of this thick cord. But the highlight of this structure is the 3-button control. Surprisingly the 3 buttons work with both Apple and Android phones. Usually the volume buttons work only with one platform at a time because of the internal pin configuration of the plug. The buttons are aluminum but the control has plastic housing. These 1More earbuds come with 5 sets of silicone eartips. Between these sizes, you can find the perfect seal. You also get 3 sets of foam eartips. The other accessories are an airline adapter and a hard carry case. Comfort-wiseit sits on the fence.Some people find secure fitment, but some struggle with the bulky ear pieces to find a proper fit. But there are no issues that the right eartips cannot solve. The 1More in-ear headphones are sonically designed for casual listening through and through. There is a sense of enjoyment in the lush mids, and the solid bass. It has a dynamic driver to handle the bass and two balanced armature drivers for accuracy.The audio is rich and layered in its texture. The audio is laid-back and set in a decently large soundstage. The audio plays better detailing that expected from the price. The trade-off in price comes at the integration part of these three drivers. These aren’t as coherent in their audio as the Shure SE535. But the price, these sound great to a regular music enthusiast. yearnings of analytical listening. The sound and the build quality are premium and these are quite expensive to match. There are certain design elements that might hit it off based on the individual user performance. The modularity of the cable, the metal housing, comfortable fit and reference sound all make for one of the best earphones under $500. 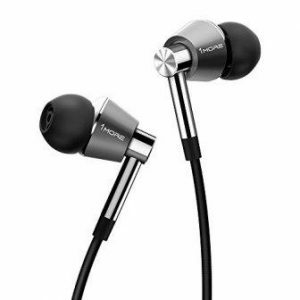 The Klipsch X20i in-ear headphones have a slimmer more, tubular design along in the lines of Etymotic ER4SR. The ear pieces are slim and long. They fit nicely into the eras with their double drivers per ear piece. They have a metal housing with rubberized parts to relieve stress. You cannot sleep with these on since they stick out the ears. But who is likely to wear such an expensive piece to bed unless they can afford it? These earphones have an awkwardly modular cable. Around 4 inches of the cable is permanently attached to the ear pieces. At the ends of these mini cable segments, you have connectors that connect to the rest of the cable. One side connects to an inline 3-button control. This is compatible with Apple devices. The cord terminates in a straight plug. The low impedance makes them easy to drive. The X20i earphones come with 6 pair of eartips. They have the custom oval eartips in various sizes which allow you to get a comfortable fit. You also get a couple of double-flanged eartips that can bring the audio experience closer. A shirt clip and a leather pouch are in the wooden box package. The pouch has magnetic closure along with an extra pocket for money. The Klipsch X20i earphones carry a balanced armature woofer and a super tweeter per ear piece for a stellar audio. These are reference quality IEMs. Thy favor a completely neutral response where no frequency range vies for attention over the others. But all three: bass, mids and highs are articulate in their own right. The punchy bass is highly detailed and tight. It beats fast along with the rhythm of the songs. The lower frequencies sound natural as if an audio device has not played with them. The midrange has a beautifully detailed presence here. The crisp nuances of vocals and orchestral music are revealed with them. We suggest you use a good audio source and source material to take full benefit of these earbuds. The highs are equally detailed without a touch of harshness or sibilance. It is a great pleasure fiddling with the Equalizer on such earphones. excellent value especially at their reduced price. These over-ear earphones manage to load a bass tuner on the ear pieces, a feta that’s worthy of some acclaim. They delighted the classic Sennheiser fans with their warm and detailed audio. It lies in the category of IEMs that create premium and enjoyable audio, hence a perfect fit for our best earphones under $500 list. The Sennheiser IE80 earphones have a chunky appeal. The brushed metal plate at the back of the ear pieces is a bold, grungy statement. The ear pieces themselves are pentagonal. The design proved to be pretty comfortable as a universal fit. The back of the ear pieces have a tiny knob with white markings to represent bass levels. A mini bass adjustment tools is supplied with the pack to turn the tiny knob. The cable of these earphones is removable. It has to be looped around the ears for proper fitment. Sennheiser sends a pair of earhooks with IE80 for additional help to route the cable properly. These are removable accessories. The cable is simple and rounded. There’s no apparent outer coating but it stays tangle-free and resistant to daily abuse. The cord terminates in a robust L-shaped jack. Around 7 sets of eartips come with these earphones. They sit shallow in the ears. If you feel they don’t give you a proper seal, we suggest the Shure olive sleeves with them. The packaging doubles as a pull-out case for the earphones. Cleaning tools are also part of it. The Sennheiser Ie80 earphones serve up some quality bass. There’s a slight mid-bass bump at the moderate bass setting so purist audiophiles usually dial down the bass knob completely. It’s hard to fault the detailing and depth of the bass here. For us average audiophiles, this low end brings a full-bodied vigor to the audio that flat frequency response cant. The warmth offered by bass hardly ever gets in the way of the midrange. While the mids of Sennheiser IE80 might not sound as forward as the Shure SE535, they have the dynamic detailing. The treble is smooth and forgiving with neither much sparkle nor harshness. The audio is smooth and detailed for the casual listener. The more discerning audiophile might prefer the SE535s over these. These sound airier and more open that most IEMs, creating an image right around the head than inside it. partner act to the comfortable build quality. They are designed much along the lines of Shure SE535 and make a nice alternate to them. Along with their expensive alter ego, these make the cut for the best earphones under $500 list. The Shure SE425 in-ear headphones have the exact same build as the SE535. They are over-ear earphones where the cable wound around the ears. The ear pieces are slimmer than the SE530s and much more low profile in the ears. They are closer to the size of SE535s and sit flush in the small of the ears. The shell of the drivers are clear and show the circuitry inside which is kind of cool. These earphones have a detachable cable. It connects to the ear pieces via MMCX connectors. The portion near the ears is done with memory wire. This helps keep them stable in the ears and reduce vibration from when you move around. These are comfortable even when routed around the ears. They come with 3 sizes of silicone eartips, 3 sizes of black foam eartips, one pair of soft foam eartips and a pair of triple-flange eartips. A studio adapter and a zippered carry case are part of the pack. 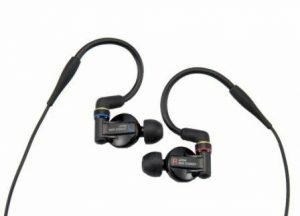 The Shure SE425 earphone pack dual drivers per earpieces, i.e. one woofer and one tweeter. The audio is accurate with a beauty to the midrange that’s immediately noticeable. They have a lot of detailing which reveals new sounds that makes you want to revisit your audio collection. The bass is tight and punchy. It toes the line so strictly that casual listeners may find them bass light. 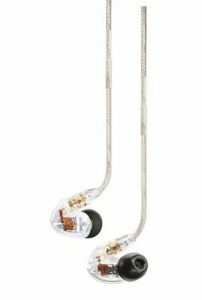 The treble is detailed with some sparkle, but not bright enough to create a sense of startling clarity as high-end earphones often do. They are laidback and forgiving compared to Shure SE 5353 which are a little superior in n just about every sonic aspect. That’s not to say SE425s are great. A casual listener might not find much difference between the two. -earheadphones are the affordable and still awesome version. These studio monitors offer up an accurate but musical audio response that purists and music-lovers will like. These are wide open-sounding earphones, thanks to their vented design. This also limits their use to quieter places. The MDR800ST needs more mentions in consumer-oriented listslike this best earphones under $500 list. The Sony MDR EX1000 earphones are meant for studio use and the design reflect that. These are over ear earphones and the ear pieces are huge. They sit loosely on the ears with the eartips giving you a secure fitment. They don’t completely fit into the small of the ear. But they are flat and look low-profile whenworn. There are vents on the driver casing meant to expand the soundstage. The part of the cable connecting to the earbuds are in memory foam.This keeps the earbuds in ears when the wire is routed around the ears. These earphones have a detachable cable. They attach to the ear pieces through a proprietary connector. So replacing it would be an issue. For some reason, the cable isn’t very sturdy, given the price of the item. So we suggest exercising caution on this front. They come with a high quality zippered carry case and three sets of silicone eartips. Right off the bat, you must know that the vents of the ear pieces of Sony MDR EX1000 restrict noise isolation. These walk a tightrope between musicality and clean audio. And they remain firmly balanced. The bass is tight and punchy. It is meticulously detailed with good extensions. The quantity of bass is just neutral so the usual music listeners might find it a bit bass light. The midrange is clearer than the open-backed Sennheiser HD600 headphones. That should give you an idea of the excellent detailing and airiness of the mids. The treble is plenty detailed but smooth. It does not create any sibilanceor go overboard. These are set in a wide and deep soundstage that’s uncharacteristic of small IEMs. The audio is highly transparent and spacious. fascinating in all its Titanium glory. It looks its price and perhaps more. The audio is designed to match the price but with a bright touch for those small group of music enthusiast who like a bite in their treble. These slid smoothly into their spot on the best earphones under $500 list. 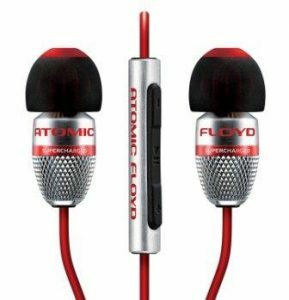 The Atomic Floyd SuperDarts Titanium earphones have a catchy design. The ear pieces are shaped like regular earbuds. But the shell is made of… you guessed it, Titanium. These are lightweight, yet strong, as opposed to the original SuperDarts which were strong but heavy. These ear pieces don’t weight down your ears. The silver of the metal against the black make for a handsome pair of earbuds. The cable of these earphones jump straight out of the ear pieces. There is no cable relief. But the cord itself is very robust. And it should be too because it’s not detachable. At this price, the cord should have been detachable since if the cord fails, the whole set will fail. But the fabric braiding of the cords allays our fears. The plug is reinforced with metal too. They come with 3 sets of silicone eartips and a pair of foam eartips. The Atomic Floyd SuperDarts Titanium earphones provide nice noise isolation provided you jam them into the ears a bit. With this as the background, the dynamic driver paints a bright picture. The bass has plenty of depth and meatiness. It pumps energy into the audio while beats with speed. The bass isn’t sluggish or boomy. It is fast and plenty in amount. This never hampers the midrange. Mids are detailed and clear for the price. The treble is where the SuperDarts slip up. In an effort to make the audio sound ultra-clean, earbuds often bump the treble a bit. In their case, the bump is noticeable and results in a bright audio. The brightness might not be noticeable to you since, these earphones serve up every other aspect of audio expected from premium gear. ones to do it right. These wireless sports earphones have an HRM mounted on the earbuds. The seamless Bluetooth integrations, the limited but well-executed HRM and smooth sound, all characteristic of Bose quality, launch them into the best earphones under $500 list. The Bose SoundSport Pulse earphones are wireless buds. They have ear pieces connected by a thick wire together. Other than this particular chord, they are pretty much wireless. The ear pieces are large but flat. They don’t stick out of the ears. They are loaded with new StayHear eartips. These have fins that hang on to the small of the ears. This way the eartips don’t penetrate the ears and rest at the entrancesecurely. The downside is that this allows ambient noise to creep in. The StayHear tips with these earphones are not back-compatible. These are designed to these HRM earphones. The monitoring unit rests inside the ear pieces. The contact from their usual fit is enough to collect data on heart rate. The usual Bose app doesn’t have much functionality is this regard. Bose expected you to use the HRM with other fitness apps like Apple HealthKit or Strava. The unit streams data when the corresponding app is open. The HRM readings matched with findings from other fitness devices, so it’s not a gimmick. There’s an inline mic and control on the cable of the Pulse earphones. They survive 5 hours on battery per charge. They also have lightning charge feature where 15 minds of charge offer 1 hour of life. It comes with a simple case. The Bose SoundSport Pulse earphones are geared towards the active lifestyle. Add that to the moderate noise isolation, you need a full-bodied audio. The audio is smooth with a calculated mid-bass hump. This is tight and punchy. The midrange is clean but only moderately detailed. The treble is energetic to match. The audio signature is such that you can hear a substantial audio even in noisy areas. They aren’t as premium sounding as other normal earphones at this price. Part of the investment goes into Bluetooth and HRM. and sound bold. They have the kind of excitement that every casual music listener needs in their audio. The solid construction ensure they don’t get martyred between your feet and the floor. These earbuds sing to a place in the best earphones under $500 list. 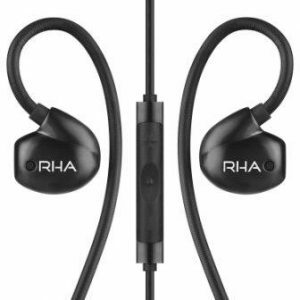 The RHA T20i earphones look distinctive in their stainless steel shells. These are single driver earphones that are built much like the premium Shure and Westone buds. The ear pieces are done in metal. Due to the large-ish size and the weight, these are best used as an over-ear design. They fit comfortably in the small of the ears. There are colored strips at the joint of the buds with the cable to mark Left and Right earbuds. They rake up a weight of 39g so people with small ears should wear-test the before buying them. These earphones have a non-removable cable. These have a braided surface which reduces tangle. The heft of the cord also keeps it safe from the daily abuse. A memory wire portion near the top help you loop them comfortably around the ears. The T20i version has an inline remote compatible with Apple devices. It is also available in a purely audio cable form. They are shipped with a stainless steel card which hold 10 pairs of eartips for a noise-isolating fit including silicones and foam tips. The RHA T20i earphones walks away from the norm of pinpoint accuracy at its price-point with a fun and bold audio. The bass is detailed and extended deep into the sub bass. It is meaty and has the oomph to get you dancing. AT some point it does muddy a bit of detail at the boundary with midrange. But it’s only noticeable to trained ears with complicated mixes. The midrange has plenty of details. The audio is balanced and warmth, the kind that most people enjoy. The Shures have more clarity and dynamic punch though. These comes with replaceable tuning filters for reference, bass-forward and treble-forward audio signatures. lot of the right boxes in the debate piece. Priced moderately, these earphones bring their legacy of audio chops to the forefront. They make for an engaging listen in an interesting package. 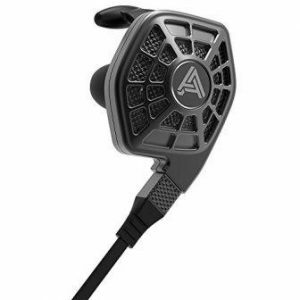 They are an exciting find for the best earphones under $500 list. The Focal Sphear earphones play and elegant game by hiding the features in design details. These are basically made of plastic and reinforced with metal faceplates at the back of the ear pieces. The ear pieces sit flat in the ears with eartips sitting deep in the ear canal. The back of the ear pieces have the company logo, but if you look closely, it hides the bass port. The earpieces are comfortable to wear and the design doesn’t leave us wanting for anything more at the price. The ear pieces are connected by a study cable. The cord of these earphones is not braided but thick and enduring. The mic hangs close to your mouth on one side. The Y-joint has a circular tab which is actually a one-button remote. The cable terminates in a sturdy L-shaped plug. You get sets of silicone and foam tips in different sizes, an airplane adapter and a zipped carry case. Focal Sphear earphones succeeding in reproducing a highly natural sounding audio which even more expensive earbuds struggle with.The audio gets a new lease of life through their bass reflex ports which add open-ness and airiness to the audio. The sound is balanced and full-bodiedwithout sacrificing details. The vocals are noticeably beautiful in their natural presentation. The clarity of the Sphear is maintained across the frequency spectrum. The combination of this clarity and detailing make them a highly revealing earphone. So beware of putting up bad formats and faulty recordings as your source material. 3.5mm jacks made them almost necessary for the future of the iPhone use, they also have a number of good feature to look forward too. Apple has invested decently in the sonic design as well, hence their place in the best earphones under $500 list. 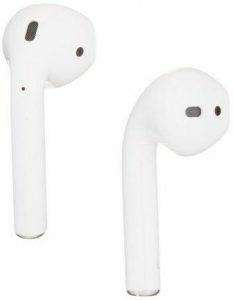 The Apple Airpods earphoneselicited many memes doe to their long stem, wire-free design. The contoured ear pieces sit comfortably and secure in the ears and fit almost like the missing piece of puzzle in some ears. They are very lightweight so they don’t wear the ears down. You can use them as a stereo or a mono headset based on the number of pods you are wearing. They also have movement sensors. They automatically pause the music when both earbuds are taken out of the ears. The Bluetooth connection of these earphones woks almost flawlessly. You simply need to place them next to a Bluetooth-compatible Apple device and these will pair automatically. We hardly experienced any dropouts. It trumps the more expensive Bose SoundSport in this regard. These are compatible with the Apple Watch and equally integrated as with iPhones. There are no looming buttons here. The earphones are touch-sensitive. With a double tap you can advance and retrieve tracks or summon Siri who pretty much does your work for you. You can program the function of double tap on each pod. All the features are geared towards Apple users and work best with their platforms, so we wouldn’t recommend these for Android users yet. The Apple Airpods earphones are semi-open buds. The audio sound airy and spacious compared to closed-back earphones. The audio has moderate amount of details coupled with punchy bass. Even at low volumes or in crowded terminals, bass never sounded tinny. It also has more control than expected, bass doesn’t veil the mids.The audio is enjoyable for a casual listener. The audio has no lag so you could game with the Airpods on. The call quality is also very good owing to some directional voodoo technology on the mics. Airpods ace the game convenience-wise. Audio-wise they have more competition in the price range.